Stuff the whole chicken with your choice of stuffing. Place about 1/2 pound of green beans on the bottom of a large crock pot. Place the stuffed chicken on top of those beans. Season the chicken with the garlic powder, rosemary, thyme, salt & pepper (I used a lot). 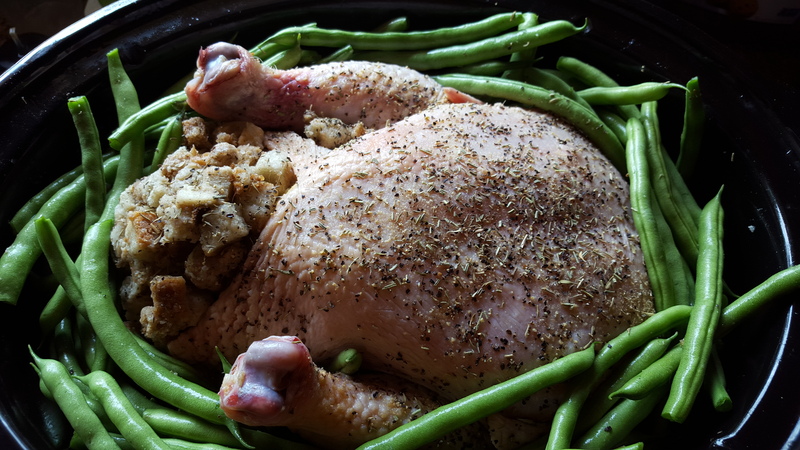 Place the remaining green beans around the chicken. Cover and cook on low 10-12 hours. High 5-6 hours.